From the top panel ornamentation recalling an engine fan to the volume knob echoing the design of a radiator cap, the inspiration behind Yamaha motorcycles shines through. The yellow, orange and dark gray colouring forms the distinctive stripe that evokes the speed of a motorcycle. Yamaha Motor’s vision is fully realized by this sleek and stylish speaker. Enjoy wireless playback from your smartphone, tablet or PC effortlessly with Bluetooth® technology. 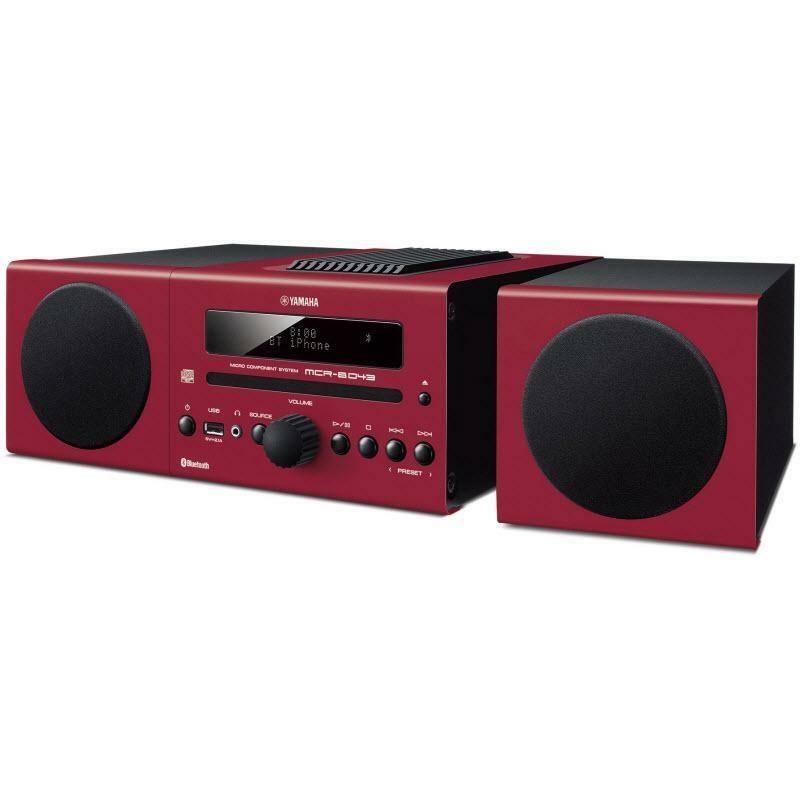 In addition to the CD player, USB and FM radio, it has an AUX-In terminal for connecting a PC or Digital Audio Player, giving you music enjoyment from a variety of sources in one unit. An onboard USB port allows you to charge your smartphone or tablet too. The MCR-B043 includes Yamaha's Music Enhancer that restores what is lost when audio data is compressed (as in a Digital Audio Player) to deliver sound that is more dynamic and has a greater feeling of expansiveness. What’s more, the speakers feature an 11cm (4-1/2") drive unit that uses a large-diameter magnet to deliver rich bass, clear mids and sparkling highs. The large-volume cabinet acts like a bass drum, further helping to produce a deep and robust bass. Additional Information • The MCR-B043 includes Yamaha's Music Enhancer that restores what is lost when audio data is compressed (as in a Digital Audio Player) to deliver sound that is more dynamic and has a greater feeling of expansiveness.